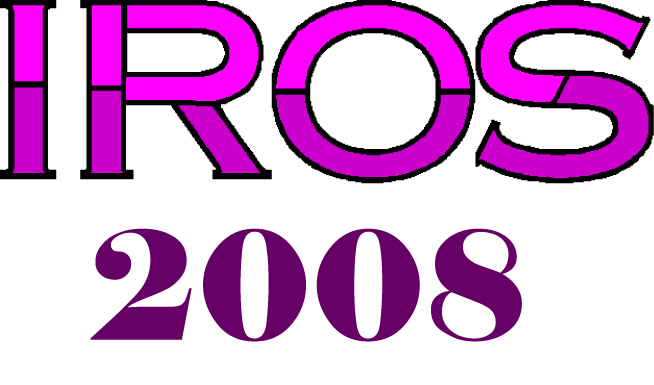 The National Science Foundation provides travel funds to assist US researchers to participate in the 2008 IEEE/RSJ IROS. To stimulate collaborations between help US researchers and their international colleagues. 3. Currently affiliated with an academic institution within the u.s.
8. A list of any other additional funding that he/she may have available for travel. For student applicants, a certification by the corresponding graduate advisor that the student is currently enrolled will be needed. Completed forms will be sent by e-mail, fax, or regular mail to the Evaluation Committee Chair (details found on form ). The application form must be submitted by July 15, 2008 .